FHA or CONV. Single Family Home perfect for first-time buyer! 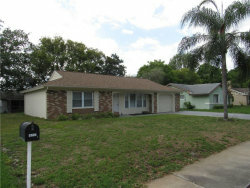 2 Bedrooms, 2 Bath, 1 Car Garage PLUS Den off Florida Room which can make a 3rd BR or office. Spacious floor plan features tile floors throughout, bathroom with shower inside, second bathroom in the garage. Large backyard. Not in a Flood Zone. Beacon Woods is a golf community with pool and recreational amenities. Located only minutes to hospital, shopping, groceries and Hudson Beach. 45 minutes to Tampa International Airport.